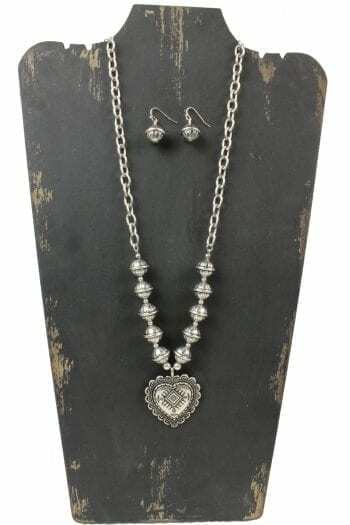 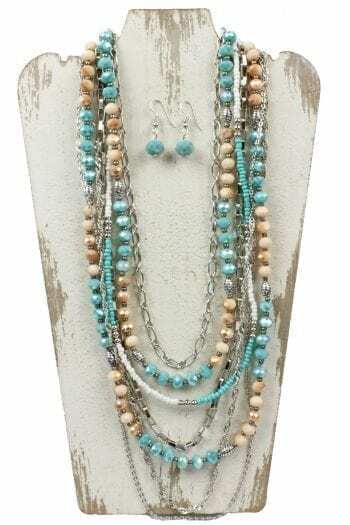 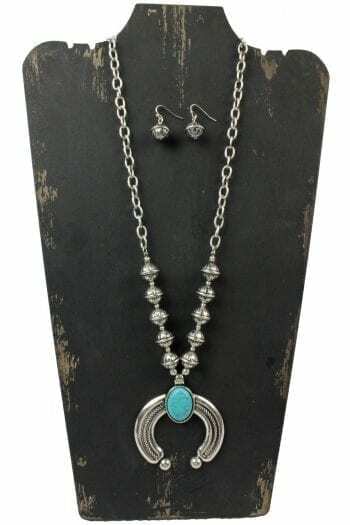 Honky Tonk Necklace & Earring Set. 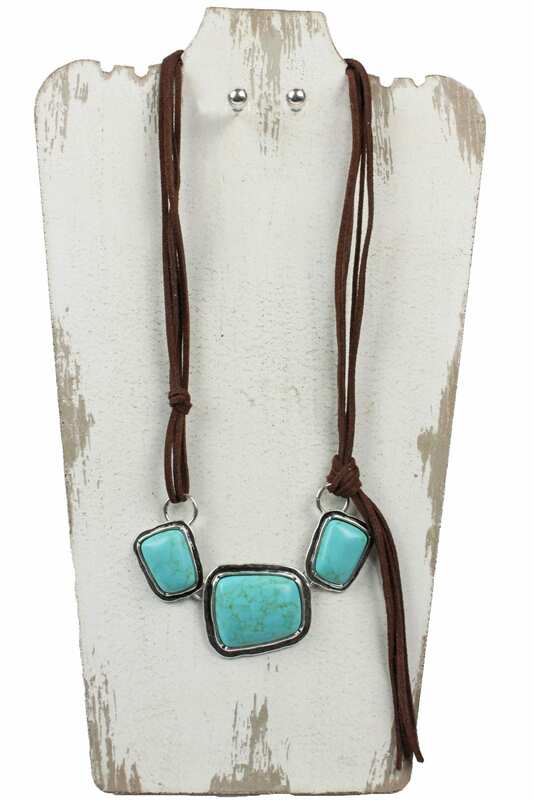 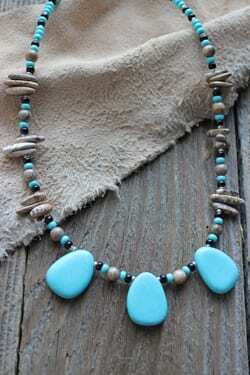 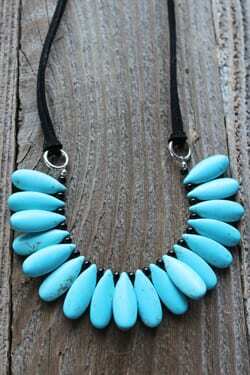 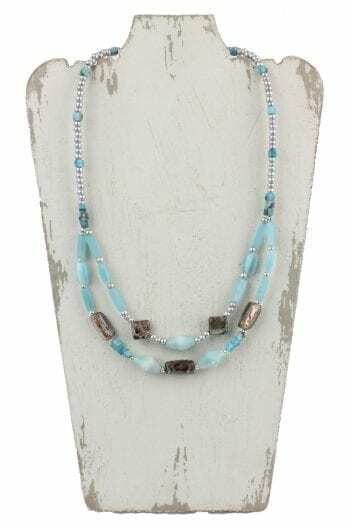 Magnesite turquoise with leather measuring 19 to 23 inches long. 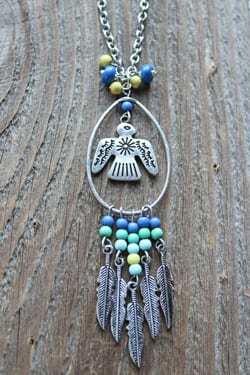 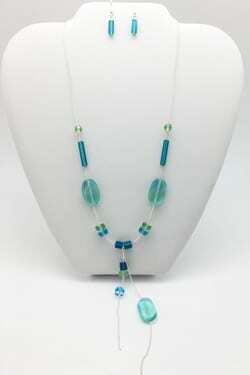 An unusual design to brighten up your day!